owls about that then! : Playing the long game. Yesterdays evening weather was by far the best we have had in ages, clear skies, no wind and golden light, getting out owling was a must! There was really only one location for me to visit, my site No 87. I have been "working" this site for over 3 years now and the resident owls have become very tolerant of my Landrover. Dozens and dozens of visits, firstly at distance (100 yards) and as the months rolled by I worked myself nearer and now I can regularly get with tens of feet of them, the slow deliberate tactics are now definitely paying off. 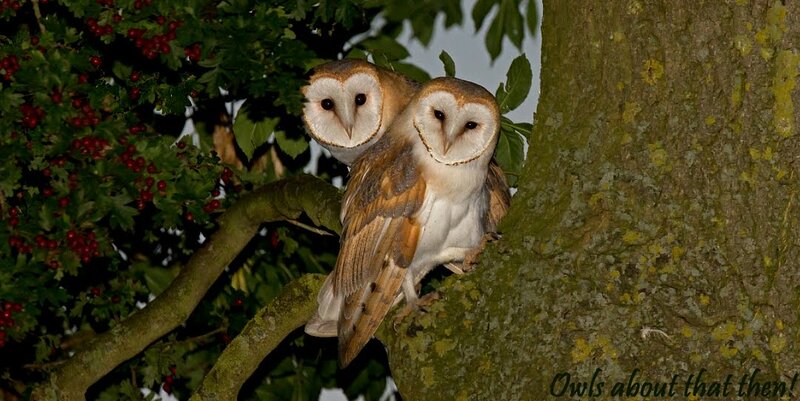 The owls share the field where they live with dozens of sheep, a few cows and a couple of horses. I'm convinced that they just see the Landrover as a very large and somewhat noisier four legged cousin of them? 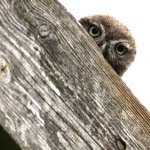 In order to have good views and in turn get close I must drive around ultra slow and stay concealed/hidden behind the camo net curtains (that are up at every window) at all times, not letting the owls see me or any dodgy looking shadows is the secret to the close encounters. Getting out is an absolute no no, not even at distance as if they associated humans with the Landrover it would immediately scare them off and all that time gaining their trust would be lost........forever! Once I was in position the owls were soon showing, and better than usual. The male owl is normally the bravest and comes the closest but the hen owl was in on the game tonight too! They were coming very close at times, just perfect as I'd got my new 300mm lens with me again, not really needed in these brilliant lighting conditions but opening up the aperture to F2.8 gives that super out of focus background, albeit the images do become a little softer but a sacrifice I am prepared to make. Its not very often you get a chance to photograph a pair together, especially on the ground! Once I'd bagged a few portrait images it was time to try and nail some "action" shots, it's time consuming and very frustrating, there was lots of failures but very satisfying when an "acceptable" one is captured. Actually "acceptable"is a terrible underestimation, incredibly rewarding and a loud yeeeeehaaaaa is more appropriate! I think this "frozen action" image (below) is my best yet of a Little Owl, no blur, in focus, good light, no noise and a nice uncluttered and defused back ground, bless my new lens! All the above images have been cropped somewhat, but I was beginning to get the hang of it and in this final image, below (click on it for larger view) I zoomed in from 150mm to 300mm and caught it completely in the frame, IE.......no cropping! Oooooh was that skill or just plain luck? Who cares I got it! Stunning flight shots Rid I think this new lense is paying dividends now mate. How do you communicate speechlessness in a comment? Perhaps like this? I can't communicate how good these images are Paul. The best, I have seen. Well done my friend.